GSK Korea said Monday that it presented additional positive data for DREAMM-1, a clinical trial for patients with relapsed and refractory multiple myeloma who received GSK2857916, an investigational anti-B-cell maturation antigen (BCMA) antibody-drug conjugate. The new data confirm that 60 percent of patients receiving the drug achieved an overall response rate (ORR), which was identical to the rate previously reported in the interim analysis, after more than a year of follow-up. Patients achieving a complete response increased to 15 percent over the additional one year follow-up period. The median progression-free survival (PFS) was 12 months, an increase from the previously reported 7.9 months PFS. The median duration of response in the final analysis was 14.3 months. The company included all patients whose data were in the interim analysis. The company enrolled a total of 35 patients in part 2 of the DREAMM-1 study independent of their BCMA expression levels. Amongst those heavily pre-treated patients not previously treated with the anti-CD38 monoclonal antibody, daratumumab, the ORR was 71 percent with an mPFS of 15.7 months. In patients who had received treatment with daratumumab, the ORR was 38.5 percent with an mPFS of 7.9 months. 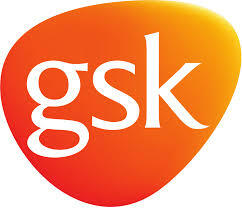 GSK did not identify any new safety signals during the treatment period. The most commonly reported ill effects were thrombocytopenia (63 percent), blurred vision (51 percent), cough (40 percent). The most frequently reported Grade 3 or 4 adverse events were thrombocytopenia (35 percent) and anemia (17 percent) but were found to be manageable. “The data are very encouraging, and the company is excited by what they could mean for people living with multiple myeloma,” said Hal Barron, chief scientific officer and president of R&D at GSK. “We are aggressively advancing this potential new medicine and plan to have pivotal data to support its filing by the end of this year."